Photo "Be careful with me...I'm a lion.."
Be careful with me...I'm a lion..
What an interesting "lion"!.. Wonderful shot, Jose! Is it a monkey in fact? Yes, Tati, is a monkey. 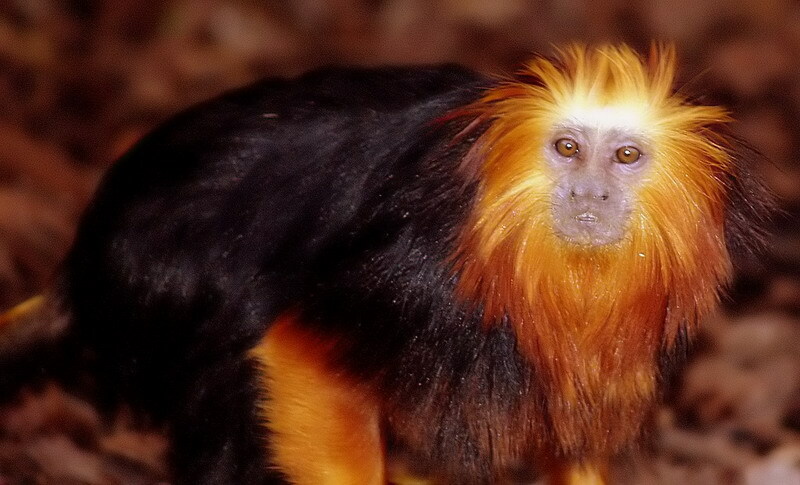 His name is Golden-Headed Lion Tamarins. The largest reserve of Tamarins reside in the Southern State of Bahia, in Bresil. It's very small and so beautiful!!! Thank you, tati, for your kind words. So cute! Nice monkey picture! Ooo, very beautiful monkey))) Excellent photo! Interesting and so unusual creature! Wonderful image! Amazing eyes. Clarity, details and colors are impressive. Не хотела бы с таким встретиться в живую! Monkey looks like Leo the Lion. He is very nice and does the monkey live with you? Very interesting monkey!!!!! Wonderful !!! Extremely rare monkey! Graet capture! Wonderful colors!